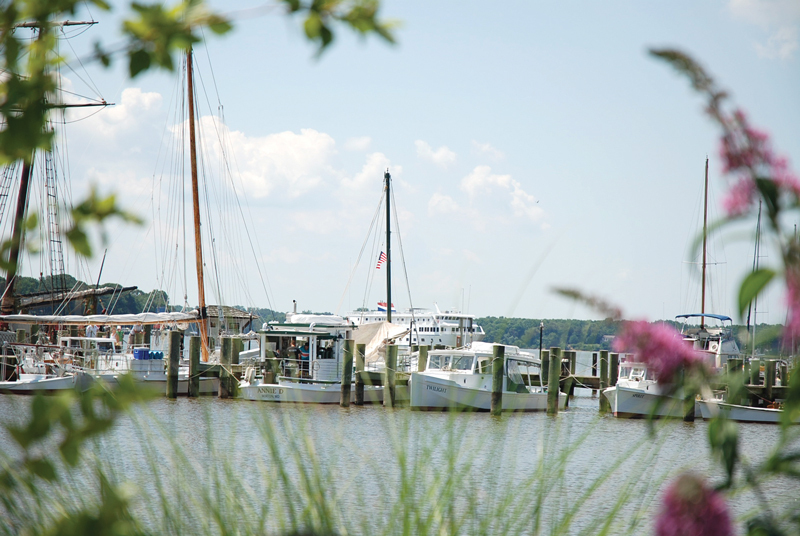 Whether arriving by boat on the Chester River or driving in via Route 213, a visit to Chestertown, on Maryland’s Eastern Shore, is well worth the trip. The town, which serves as the county seat of Kent County, has many charms, most of which are rooted in the village’s origins as a colonial settlement and seaport. 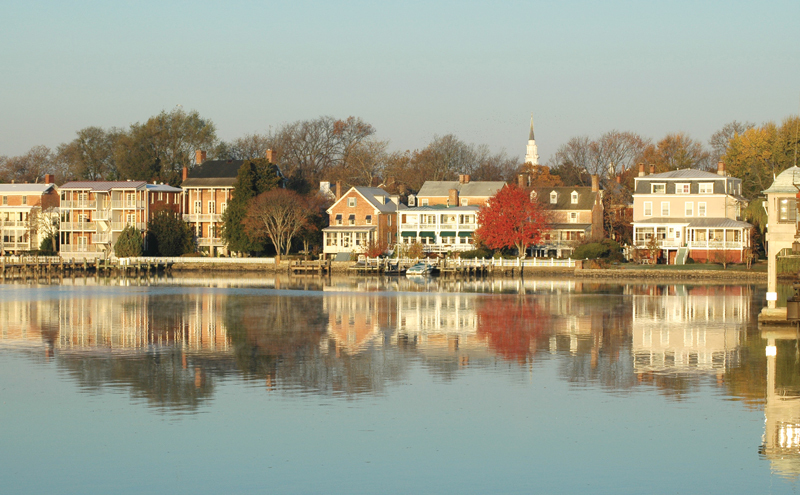 By today’s standards, Chestertown is a peaceful, small town, but in the 18th century it was considered a bustling city. Situated 26 miles upriver from the Bay, Chestertown was an important stopping point along land and sea routes between Washington, DC, and Philadelphia. Happily, the area didn’t grow at the same pace as many other East Coast cities. And today much of the historic district remains well preserved, and many period structures are excellently maintained. For sailors, strolling through the streets is an excellent way to stretch one’s legs after getting off the boat. This month’s big event is the community’s annual Tea Party Festival. Similar to the more famous Tea Party uprising that took place in Boston in 1774, colonial residents in Chestertown staged their own rebellion, which is now commemorated annually with a festival that takes place each Memorial Day weekend. Reenactors portray the residents’ reactions when they learned that the British had closed the port of Boston in retaliation for Bostonians dumping tea into the harbor. Chestertown colonists issued “The Chestertown Resolves,” declaring it illegal to import, sell, or consume tea. According to local lore, the citizens gathered at the town center, marched down High Street to the brigantine Geddes, and tossed her cargo of tea into the Chester River. This year’s weekend activities begin Friday evening, May 26, with a free street party, lots of great entertainment, and food trucks serving up delicious food and cold drinks. Saturday, the main day of activities, kicks off early with a foot race, followed by a colonial parade. The highlight of the day, the tea party reenactment, begins at 2 p.m. After debating the British actions, reenactors will announce the “Chestertown Resolves” and march down High Street to the Chester River. Keep a look out for Redcoats who may attempt to impede their progress. Eventually the “colonists” will row to the tall ship Sultana, which stands in for the original Geddes. Finally, the moment everyone has been waiting for: the reenactors throw the cargo of tea overboard. 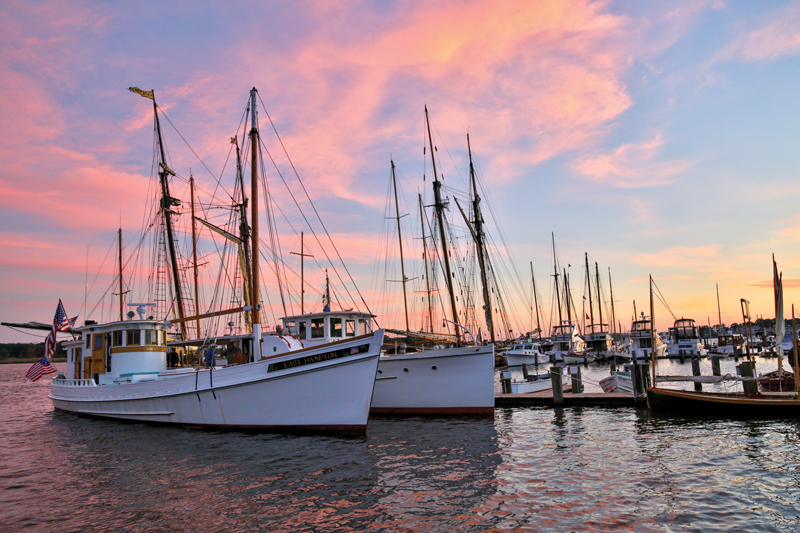 Throughout the day, visitors may also enjoy walking tours of the historic district, demonstrations of colonial crafts, a wine village beside the town dock, more than 100 craft vendors, local food, children’s activities, and lots of live musical entertainment. The festival concludes Sunday afternoon in Wilmer Park with more food, fun, and a homemade raft race for the coveted Tea Cup. The Sultana is a replica 18th century British schooner that is the platform for many of the Sultana Education Foundation’s programs. Headquartered in Chestertown, they provide science-based history and ecology enrichment programs to students and teachers in Maryland, and throughout the Bay’s watershed. A thriving non-profit, Sultana also sponsors public events, such as kayak expeditions, for naturalists of all ages. Each fall Sultana’s Downrigging Weekend Tall Ship and Wooden Boat Festival is one of the largest annual Tall Ship gatherings on the East Coast. The waterfront is packed with ships, schooners, and wooden boats. 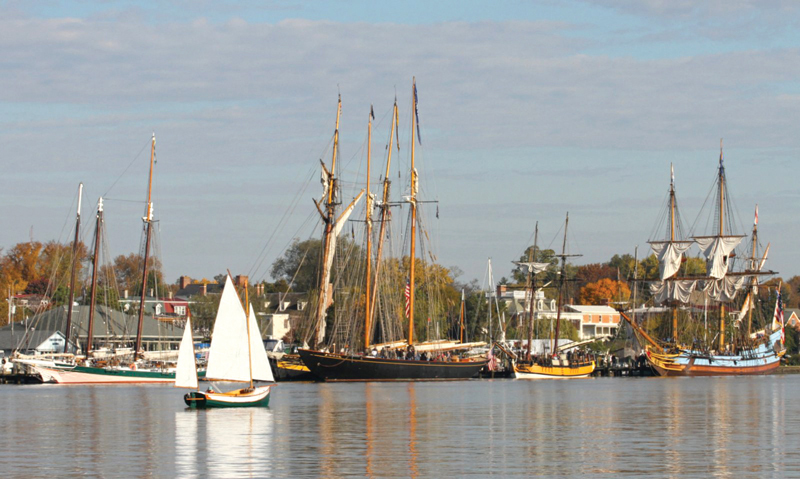 Additional events include performances by world-class musicians, lectures by nationally recognized authors and filmmakers, and plenty of opportunities to go sailing on a tall ship. 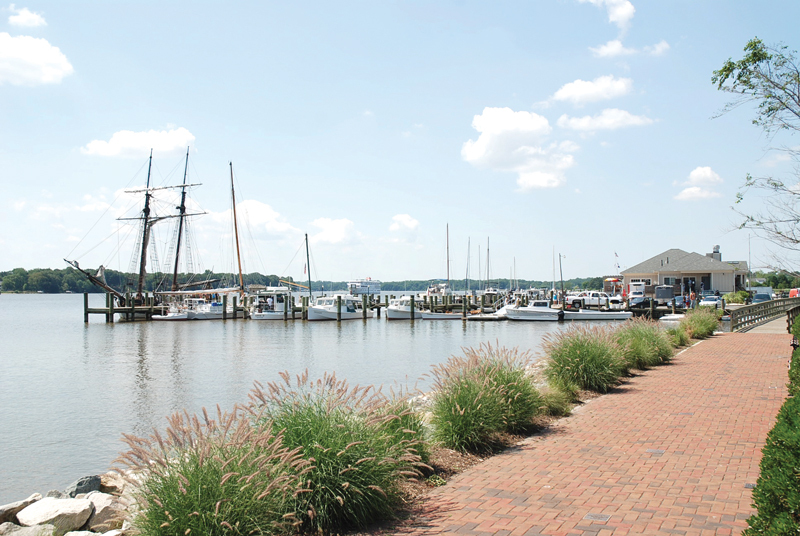 If you go, you’ll see that Chestertown Marina is undergoing a major, two-phase revitalization project. Phase I is already underway and includes dredging, bulkhead replacement, installation of a new boat ramp, and construction of a pedestrian walkway. Construction of a Chestertown Waterfront Interpretive Center is scheduled to start this spring. The Center will include a marina store, public restrooms, showers for transient boaters, retail space, and a second floor with public space and a deck overlooking the waterfront. Phase II, which is scheduled to begin in November, will include completion of the bulkhead replacement, fixed and floating docks, raising the grade of the property, and parking and landscape improvements. Several other local marinas serve residents, as well as transient sailors and boaters. If you’re looking to drop the hook, the Chester River offers numerous creeks and gunkholing spots with protected water. The Chester’s main stem is 60 miles long, with 43 named creeks. It empties in the Bay with a wide opening at Love Point. Although the main channel of the river is fairly wide, stray too far and you’re likely to quickly encounter shallow depths. Not planning to sleep aboard? You have a few options. Beyond the basic chain motels, several more interesting local bed and breakfasts are excellent options. The stately Brampton Bed and Breakfast Inn is just two miles from the historic district and sits on a 20-acre site. It offers cottages with fireplaces, lush grounds, and other comforts for a relaxing stay. Another option, the John L. Stam house, is a Gothic Revival Victorian beauty that has been a place of respite for travelers for more than 70 years. Dating to the late 19th century, the home, which was originally owned by a wealthy local businessman, was built on Washington College property. Situated on the edge of town, the college was founded in 1782, and was the first college chartered in the United States. The nation’s first president, George Washington, made a financial donation for its founding and served on its board of visitors and governors. The school is located on 112 picturesque acres, has several 18th century structures, and many sports teams, including crew and sailing. 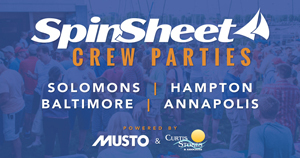 While the Tea Party and Downrigging weekend may be the town’s most well-known festival for sailors, every season there’s something interesting happening, and each one brings its own special events. They include a Harry Potter festival, several music and book festivals, a winterfest, and more. There’s plenty to explore nearby, too. The Corsica River and Centerville are to the south, and the town of Rock Hall, another great sailing destination, is just up the road. Learn more at townofchestertown.com and kentcounty.com. You've got lots of yummy choices awaiting you. Here are just a few. The Blue Heron: fine dining with regional American cuisine with an extensive wine list. The Lemon Leaf Cafe: a nice place for breakfast or lunch, serving Eastern Shore classics, sandwiches, soups, and salads. The Fish Whistle: overlooking the Chester River with a wide menu and often live entertainment.